I vary this route from year to year so there is no fixed, set in stone route that I follow. Whichever route is ridden in any particular year expect quiet roads wherever possible, a goodly amount of scenery, a climb or 2 to test the legs and a route that overall attempts to get off the beaten track. Routes will always dip into Wales - sometimes further than others - and will ride through Scotland amongst some of the finest scenery that the land has to offer. You'll ride in the Yorkshire Dales and through the Lake District, Kielder and the best bits of the Southern uplands. This will be no mad dash up the A6. Bespoke LEJOG trips available for groups of up to 8 riders taking in all the bits of the country that you'd like to ride in - and climbs you'd like to ride up. Fabulous weather around Easter this year made for a stunning ride on the North Coast 500 - please see Facebook page for a few photos. I am running one more of these trips in 2019 in September or please contact me if you would like a bespoke booking for this trip. 500 stunning miles around the coast of Scotland. Remote and scenic riding on a circular route starting and finishing in Inverness. 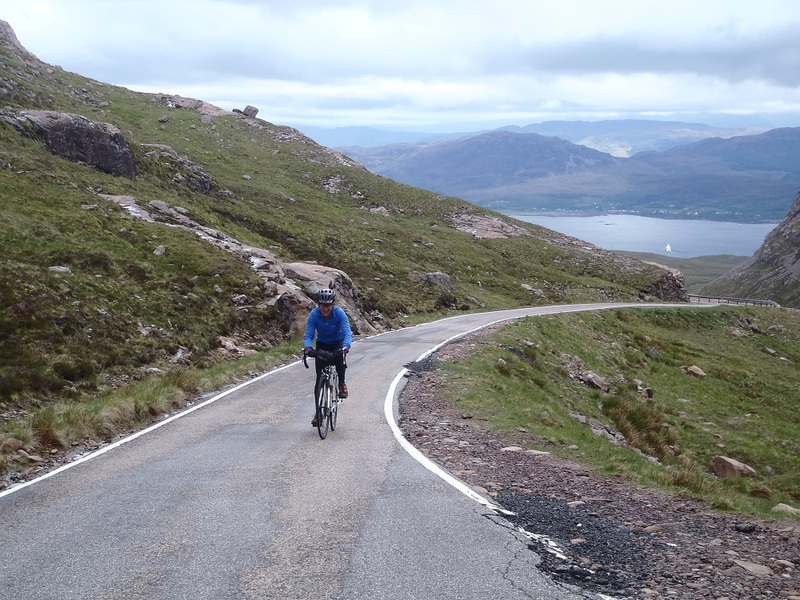 We will ride over the magnificent Bealach Na Ba and, instead of the motoring touring route down the A9 on the East Coast, will come back inland past the remote and wildly scenic Crask Inn to complete the loop back to Inverness. 14 day itineraries, these are not dash up the country as fast as possible trips.